Vancouver, BC – Downtown Vancouver’s Costco is awesome. It’s big, and it’s conveniently downtown – about a 10 minute walk from the central library right across from the BC Place Stadium. It’s also one of the few Costcos in Canada near a train station – most Costcos are in suburbs. Get off at the Stadium-Chinatown station, and also passing a great T&T supermarket on the way (tip: discount sushi one hour before closing). What’s best about Vancouver is the food sampling. There are LOTS of free food sample stations – we counted 12 on one day! 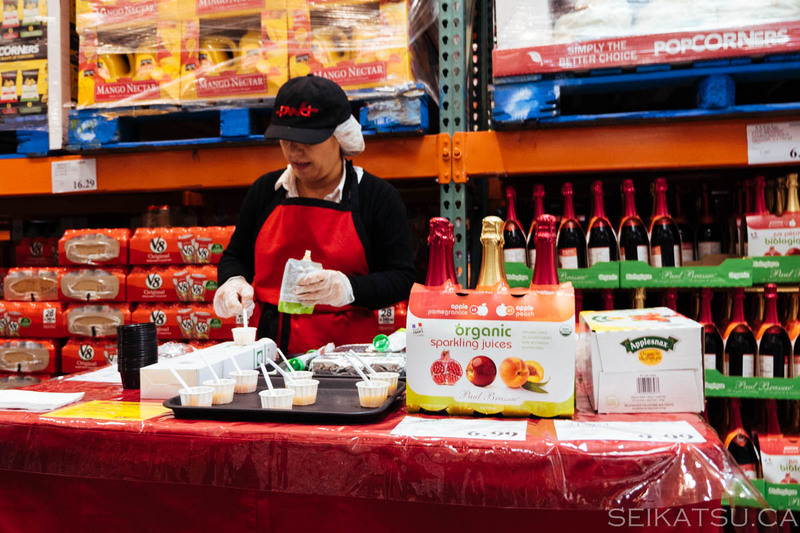 The staff also serve out large quantities, and they often serve smoked salmon, smoothies, and other really tasty Costco specialties. Vancouver Costco’s cafeteria is also on the outside of the Costco, meaning that you can drop by and get some cheap food, including their $1.50 hot dog/soft drink combo anytime! 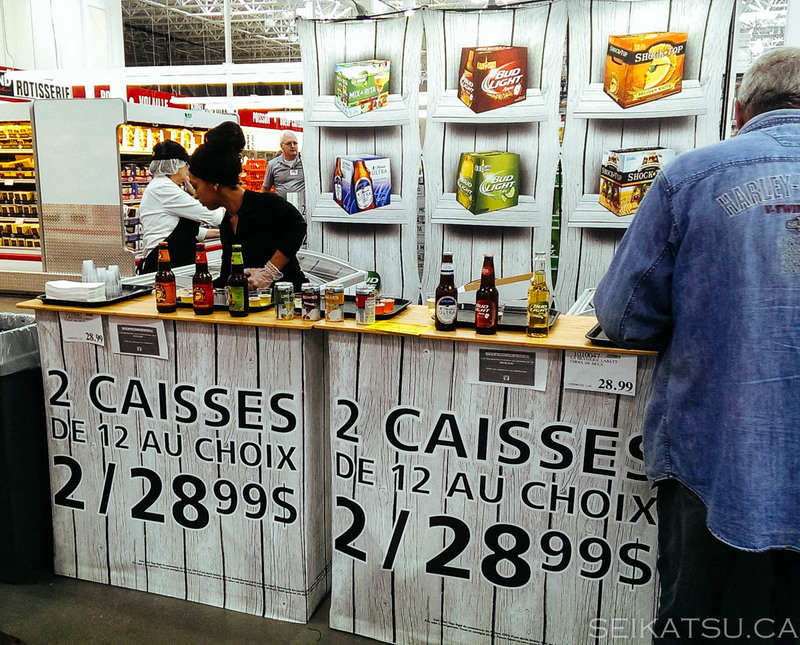 Any Quebec Costco – Quebec Costco stores are different because they’re allowed to serve wine and beer. And it’s really cheap. You can buy the most popular Quebec craft beer brand (Unibroue) for $22/18 bottles. After taxes, it’s about $1.50 for a really good beer. In Toronto, it costs twice as much to buy Unibroue beer. By the way, here’s something interesting – the Unibroue beer company was bought by Sapporo in 2006. On top of selling cheap wine and beer, they have free beer samples!!! Free beer samples are not always served, and it’s more common on weekdays. However, when they serve free alcohol, it’s a lot with very few lines. They also tend to serve new and interesting craft beers. You can easily sample the equivalent of a bottle of beer in one visit, so make sure you don’t drive if you visit a Quebec Costco. The Costco location in Richmond Hill, Ontario is liked by us because the sample staff are fairly fast and they serve large quantities. The staff are particularly kind to children, so if you can bring along a hungry baby, it will help! Richmond, BC – Richmond Costco is a very busy and small Costco. It doesn’t have much parking, so there’s always a traffic jam in the parking area and people fighting for parking spots. On top of that, Richmond has a heavy Chinese immigrant population with new drivers, which tends to make things worse. Don’t believe us – visit this Facebook page to see all the bad parking. Parking aside, small and busy means that it’s just as crazy inside – long lineups and only one or two food sample stations, because sample stations take up too much space. Scarborough (Toronto) Costco – Scarborough’s Costco is also like Richmond because it’s in a neighbourhood closer to downtown and is always busy. Expect lineups and less food sampling. 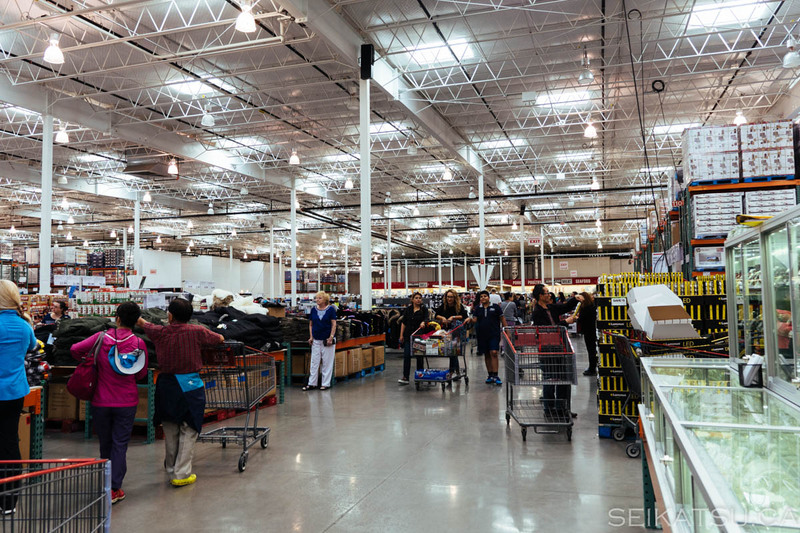 Most Costco Stores on weekends – Costco stores are extremely busy on weekends. However, what really makes them less fun is that with so many people, there aren’t many free samples. For some reason, Costco always seems to hire old women who work really slow, so for every 1 minute of food served, they spend 10 minutes preparing it. We think they enjoy watching water turn to ice in their spare time! Don’t believe us? We went to the Ottawa/Gatineau Costco on a weekend, and took the below pictures all in 5 minutes. Notice that they all have little to nothing to serve! Vancouver’s Costco, for some reason, seems to be an exception – the staff seem to be younger and faster.